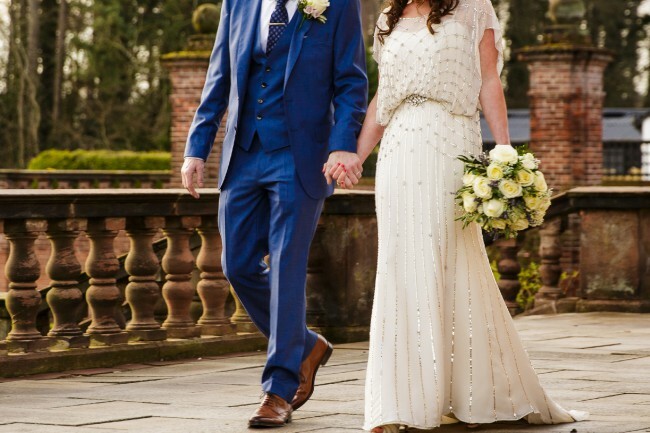 Stunning Jenny Packham "Bardot" dress. Worn for my late afternoon wedding in March 2018. Professionally dry cleaned. Some beads are missing from the day, as the dress is very delicate. A pack of beads for the dress can be purchased direct from Jenny Packham and any good seamstress can repair. There is a few marks on the very bottom that did not come out during cleaning.These could be removed through any hem work needed or you could reduce the size of the train. There are also a few very minor marks on the dress from the dry cleaning process but they are hardly noticeable. I am pricing this dress with the slight damages in mind, these do not detract from the stunning design of the dress at all. Collection would be better than posting as I can leave the dress hanging and then it will not need and steaming / pressing etc as I have just collected it from the cleaners. I had a few minor alterations, I had a hook up put in on the back for the small train. I had a very small hook put on the back at the top so you can choose if you want it to be fully backless or not. I also had some bra loops added to prevent the sleeves from slipping down. I did not need the dress size altering at all. I am 5ft 5 and size 12, on the day I wore 3.5inch heels.